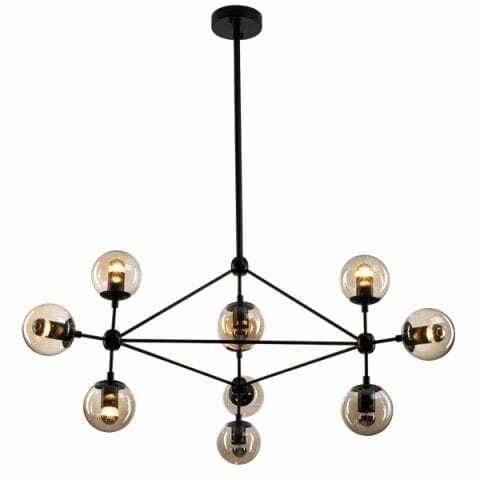 The LED 10 Light Branching Arm Black Geometric Pendant is bold, beautiful and stylish. The design is geometric and features a black frame with exquisite glass spheres in champagne. 10 x LED Non-Dimmable E27 1.8w=20w Max. (Included).